NEW YORK — Department-store operator Macy's Inc. said Thursday it will close 11 underperforming stores in nine states — affecting 960 employees — and lowered its forecast for the fourth quarter after one of the weakest holiday seasons in years. Stores slated to close include locations in Los Angeles, West Palm Beach, Fla., Nashville, Tenn., St. Louis and Natrona Heights, Pa., among others. 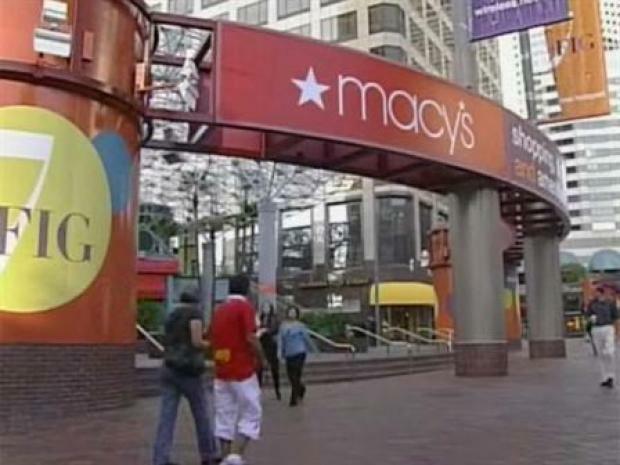 Cincinnati-based Macy's Inc. says the closures will cost about $65 million, most of which will be booked in the 2008 fourth quarter. The Los Angeles store that will close is located at Ernst & Young Plaza (Citicorp Plaza), 920 W 7th St.
Macy's will close its 7th Street location in Los Angeles. "These closings are part of our normal-course process to prune underperforming locations each year in order to maintain a healthy portfolio of stores," said Macy's Chief Executive Terry J. Lundgren in a statement. Employees at the stores that are closing may be considered for open positions at other Macy's stores, the company said. Macy's reported Thursday that its December sales at stores open at least a year, or same-store sales, fell 4 percent — still not as bad as the 5.3 percent drop analysts surveyed by Thomson Reuters were expecting. Same-store sales fell 7.5 percent during the combined November and December holiday period. Macy's said the holiday season ended with improving sales in the fourth and fifth weeks of December but that sales were sluggish before that. Macy's now expects earnings of 90 cents to $1 per share in the fourth quarter, down from its previous guidance of $1.10 to $1.30 per share. Analysts expect earnings of $1.11 per share.